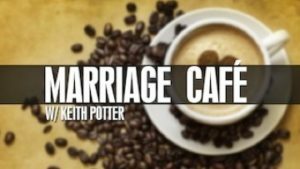 Marriage Cafe is a one day marriage workshop led by Keith Potter. Among all of the challenges of growing and sustaining healthy relationships, nothing is more central than communication. Do we wield words well? If actions speak louder than words, what actions really help and what actions really hurt? What am I saying with my inactions? How honest is too honest, and is it ever okay to be dishonest? What am I communicating with my approach to sexuality? All in all, how can I connect with my spouse in ways that make the most of the very best practices in relational communication? This is a great workshop for pre-married couples, couples who want to refine and improve, couples who’ve hit an impasse, and even couples in crisis. For 30 years, Keith Potter has been leading workshops on healthy communication strategies for church, workplace and home. His book Unshakable: The Building Blocks of an Enduring Marriage, has been published in three languages. Keith currently serves as Vice President for Advancement at Northwest Christian University, overseeing church, community, alumni and donor relations during a season of unprecedented growth. 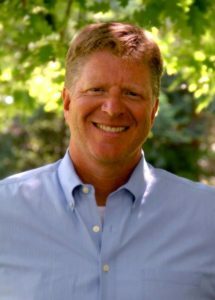 A 1984 graduate of NCU, Keith was a pastor for 26 years in California, and has led over 100 workshops on relational and organizational health. He and his wife, Sue, have been married for 34 years and have three children and three grandchildren. Cost is $50 per couple and includes lunch.